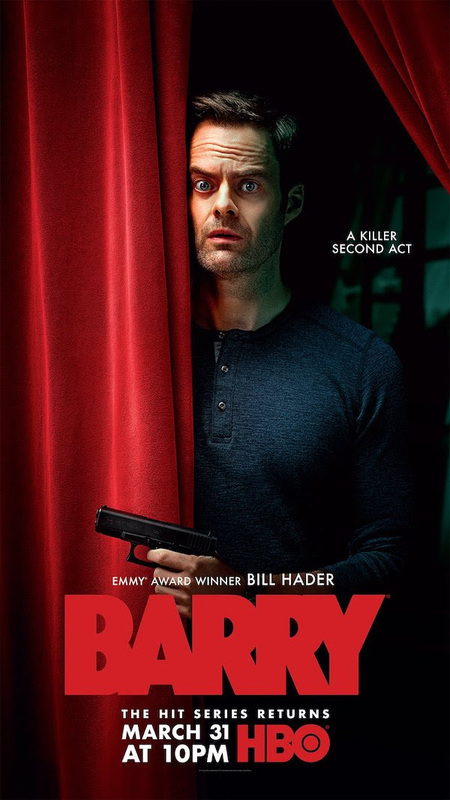 Season 1 of “Barry,” the award-winning HBO dark comedy created by Alec Berg and Bill Hader, is the definition of binge-able, rife with ridiculous laughs and staggering moments of suspense. The first three episodes of Season 2 do more than deliver; they exceed expectations and promise a thrilling, entertaining and thoughtful season. Season 2 starts with a triumph; the first episode of the season, aptly asking “The Show Must Go on, Probably?” is 30 minutes full of brilliant quips and staggering flashbacks, leaving us with more questions than the season one finale. When we last saw Barry — played by Hader — with last season’s brilliant subtleness and a new sense of urgency, he was making a promise to himself and to us that he had committed his final murder. This promise manifests itself in manic energy, as Barry does everything he can to make sure his acting class’ performance goes on as scheduled, despite Gene’s (an always hilarious and lovably infuriating Henry Winkler) depressive state over Janice Moss’ disappearance and presumed death. While in Season 1 we see an awkward and hesitant Barry stand out against the overly enthusiastic and obsessive members of his acting class, Season 2 presents a parallel in Barry’s desperate eagerness to put on the show while everyone else would rather have it canceled. Barry’s unraveling is further illustrated in a flashback we get of his time in Afghanistan, as Gene asks him to tell the class about the first time he killed someone. In a truly funny but painful moment, Gene has a couple of the other acting class students run up on stage and reenact the story as Barry orates it. Meanwhile, NoHo Hank (an uproarious Anthony Carrigan) is back and better than ever with lines like “Everyone’s laughing at the hand stabbing now!” and “What is with the sour patch attitude?” as he tries to maintain power and familiarity in his organized crime regime, which is reminiscent of a Manhattan start-up, with bean bags, an open office layout and neon-colored decor. The premiere episode of the season, written by Hader and Berg and directed by Hiro Murai, is chock-full of the wit we know and love, while also foreshadowing chaos. The pieces start to fall, secrets start to unravel and our hero at the center of it all is in a deep pit of denial. The second episode of season 2, directed again by Murai and written by Taofilk Kolade, brings our sweet, uneven couple to the forefront: Barry and the chipper teacher’s pet Sally. Among flashbacks, thrilling scenes with some unlikely duos and a funny and bitingly true scene about the roles available to women in Hollywood, Barry’s fears of being viewed as a violent or evil person are directly paralleled to Sally’s own past experiences with domestic abuse. Meanwhile, Barry struggles with feeling defined by his time in Afghanistan, which, of course, only scratches the surface of his experiences with combat and killing people. D’Arcy Carden’s Natalie, eternal errand girl to Gene for unclear reasons but hilarious all the same, provides a great deal of the comic relief in this episode, as does Hank’s innocent, almost sweet attempts to give Barry an assassin-themed pep talk. A few story arcs come to a peak in this episode — most notably, Sally’s attempts to “use” the memories of leaving her abusive ex-husband to inform her art. While trying to comfort Barry about performing his piece about his first kill in Afghanistan, thanks to a beautiful, complicated performance by Sarah Goldberg, we realize Sally refuses to treat her own past with the same severity. Barry attempts to change his scene to the first time he met Gene, or the first time he saved a life (with a borrowed speech from Braveheart that Gene reacts to with a resounding “What the f—, Barry? !”), but is told by Gene that he will perform the Afghanistan scene. Gene himself, in attempts to give the cabin where Moss was killed onto his estranged son, processes his grief erratically. Gene’s broken-hearted anger and Sally’s need to process her trauma as little more than an acting exercise come to a head against Barry’s inability to integrate his pain and performance in a scene that is the most suspenseful and powerful of the season thus far. Season 2 shows fantastic promise with the ensemble truly shining alongside Hader’s consistent, harrowing performance. The first episode of season 2 of “Barry” premiered Sunday, March 31, and you can watch new episodes on Sundays on HBO at 10 p.m.